‘Tis the time of year for LOTS of holiday prize pack giveaways, and here’s another amazing prize pack that you can enter to win! With toys, jewelry, a $25 Amazon Gift Card, winner’s choice of a NutriBullet or BabyBullet System, and more – there’s something for everyone in this prize pack! Check out all the items available to one lucky winner, and then enter to win below! Welcome to the 2014 Holiday Gift Guide Giveaway! The holiday season is all about giving, although the receiving part is pretty fun too! These wonderful sponsors below want you to have the opportunity to win a holiday gift! Whether you decide to give it away or keep it for yourself is totally up to you, but you can’t win if you don’t enter! Read the product reviews here! Giveaway begins on 11/15 and will end at 11:59pm on 11/30! Disclaimer: Dividing by Zero and the hosts/cohosts for this giveaway are not responsible for prize fulfillment. Prizes are to be fulfilled by the sposnor. Winners will be chosen and notified via email. 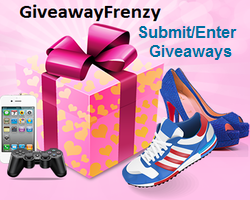 Winners will have 48 hours to respond to the email or they will forfeit their prize and a new winner will be chosen. This giveaway is in no way associated, administered or endorsed by Facebook and is Facebook compliant. This entry was posted in 2014 Holiday Shopping Guide, Giveaways and tagged 2014 Holiday Shopping Guide, Christmas, Giveaway, Jewelry, Kids, Toys by Tara.Bookmark the permalink. We will be staying home for the holidays but some of our family will be visiting us this year. We went to our son and daughter in laws for Thanksgiving but will be staying home for Christmas. Again, I am not able to use WordPress. This is for XtremeQpon because it would not except me after 10 tries:(. I am very excited about this giveaway. I would love to win the Pinch Me Dough Therapy. My husband has had hand surgery and really could use it. I could use it for my anxiety. Thank you all so much! Please send this message on to XtremeQpon. My family will be staying at my house for the holidays! I absolutely love this time of year. Putting up the Christmas tree and decorations is one of our traditions. Seeing everyone’s beautiful faces gives me so much joy. I would definitely keep the NutriBullit, and/or the Ozari Fan for myself. Anything else I would give away as gifts for Christmas. My plans are to have my son and his wife over here for Christmas Eve dinner.. and then go to their home on Christmas day. Lucky for us.,. they only live a few miles away. This year we will be visiting DH’s family. I’ll be staying at home and spending time with family. I would get an item from PersJewel and I’d keep that bad boy for myself. I work in an ER and I’m working Xmas Eve & Xmas. I will be home with my family for the holidays, thanks! We are staying home this year..too much to do and we need a break from work and school! HAPPY HOLIDAYS AND MERRY CHRISTMAS TO ALL! I like the Activision – Skylanders Trap Team. I would give this to my son. He would be so excited.